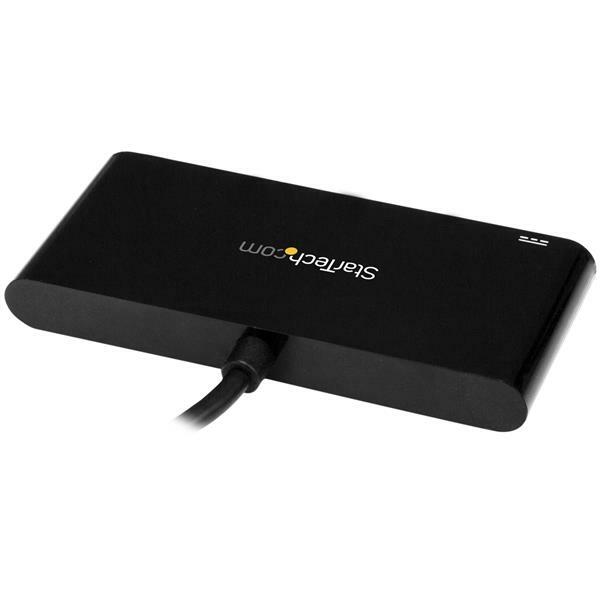 USB-A devices are still the norm so when I bought a device that only had a USB-C connection on it, I was not able to charge or access any of my USB-A devices like smart phones and memory sticks. This device allowed me to do just that with 4 USB-A connections on it to boot. 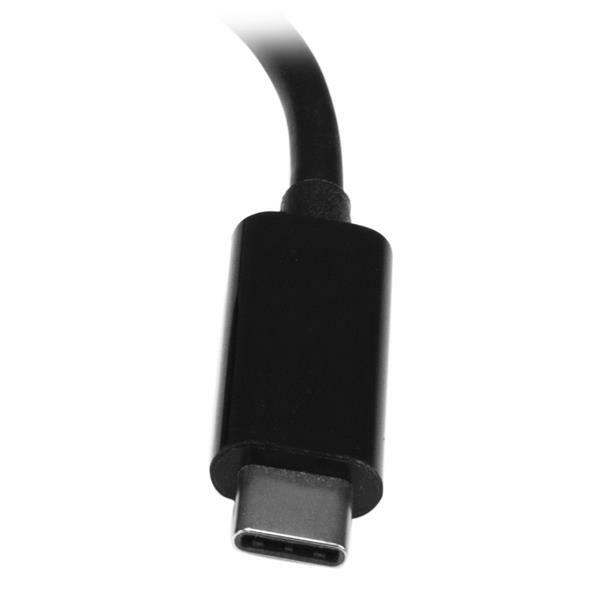 The USB-C cable comes attached so you can never loose it and the adapter is small enough even to fit in your pocket if you need to. The adapter feels solid and well made. Solved my problem. I received this product in exchange for an unbiased review. 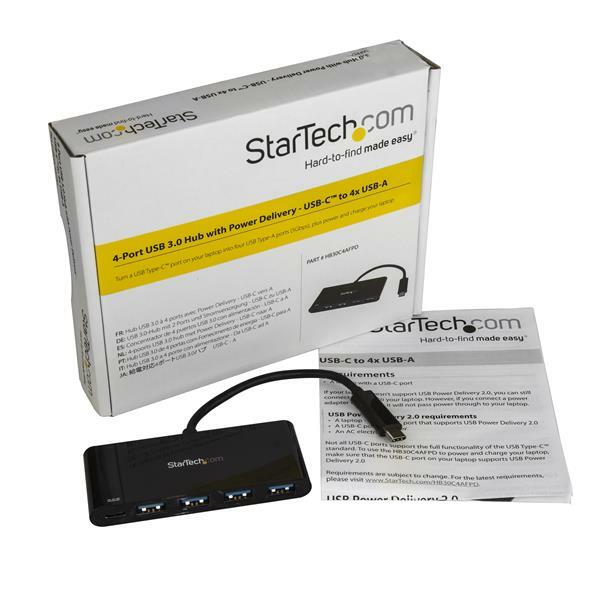 (5 stars) Small, portable usb hub! 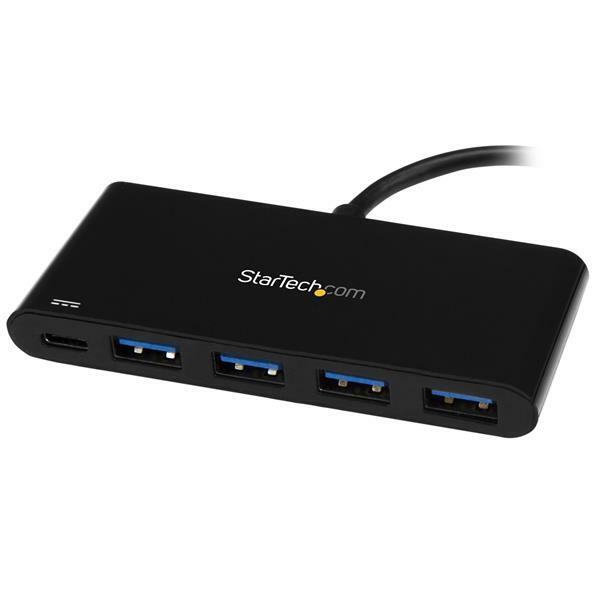 This is a nice and small usb 3.0 hub offering one usb-c to 4 USB-a ports and one usb-c for power delivery to charge your laptop. I tested this unit with my pc and had no problems at all with this unit. My charger plugged into the usb-c port and still charged my laptop. 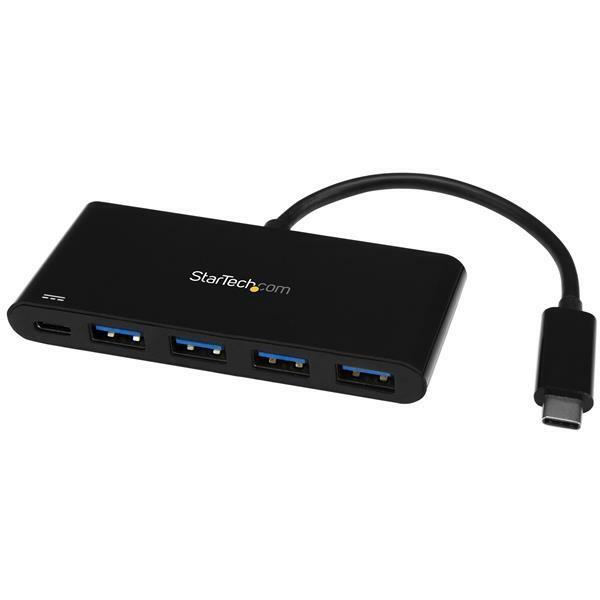 Having standard USB-A ports is something any ultrabook user is going to appreciate. Excellent product ! "I received this product in exchange for an unbiased review"